Instagram isn't just a go-to social network for individuals anymore. Many marketers have caught wind that it's a powerful social network they need to have some sort of presence on. The platform's heavy emphasis on visual content like photos, videos, illustrations, and GIFs is becoming a critical way for brands to communicate their story and message. Plus, it's a great way for businesses to humanize their brand, recruit future employees, showcase their product and content, and delight and engage customers. 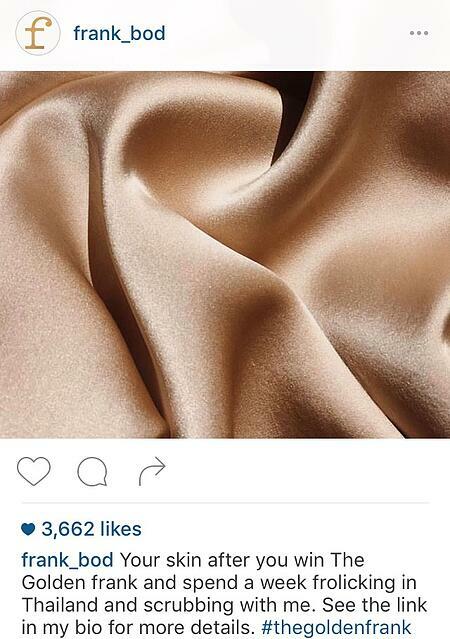 One particularly great thing about Instagram is that it isn't just for still photography. There's a lot of directions to go with each post, whether it's posting shots from behind-thscenes, videos, animated GIFs, holiday-themed content, contests and giveaways, reposts of followers and employees ... the list goes on. Instagram is a great platform for humanizing your brand, and giving your audience a sneak peek at what goes on behind the scenes is one way to do that. 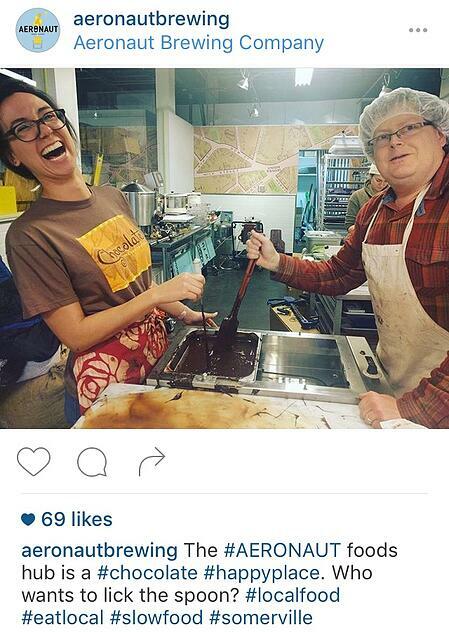 It's also a good way to show followers what it's like to work there, which is great for your recruiting efforts. 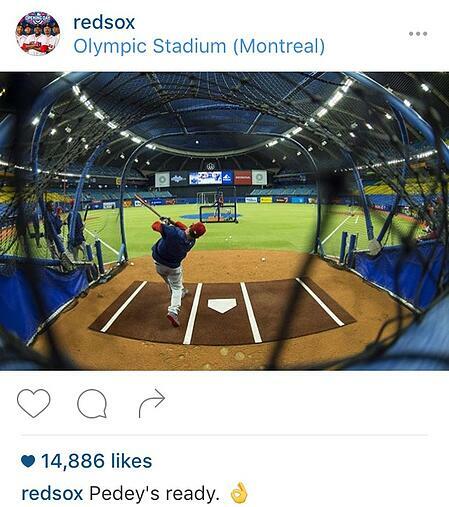 Here's an example from the Boston Red Sox, showing what batting practice looks like close-up (with a really cool, fish-eye shot to boot). And here's one from a small brewery in Somerville, Massachusetts called Aeronaut Brewing. We love how this one shares the faces behind the brand, giving followers the chance to get to know who's on the inside. 2. Reposts from fans and followers. Check out the posts people have tagged you in, and if you love them, consider reposting them to your own followers. Not only does it make the original poster feel good, it also shows everyone that you're listening to your fans. Just be sure the photos you're reposting are really high quality, and that you @-mention the original poster in your caption. 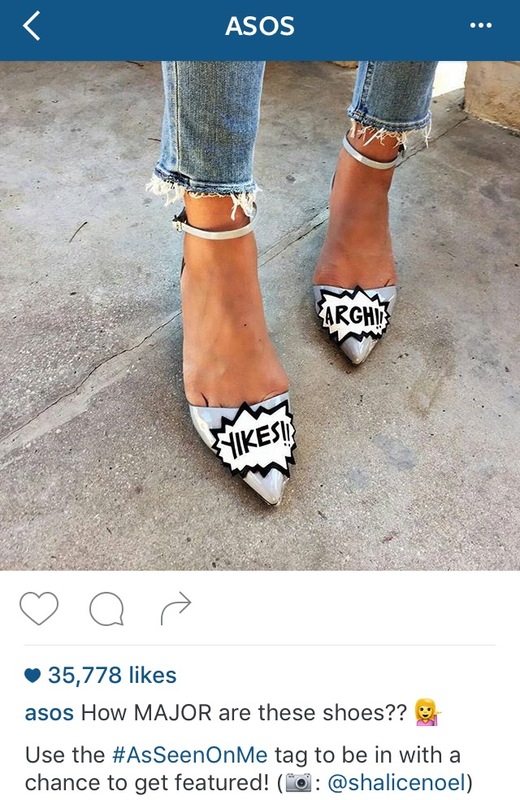 What do great examples of repost images and captions look like? Here's one from the folks at ASOS. Take note of how they write the caption: They write an entirely new caption, which includes a tidbit on how their followers can get featured on their Instagram page (by using the hashtag #AsSeenOnMe). 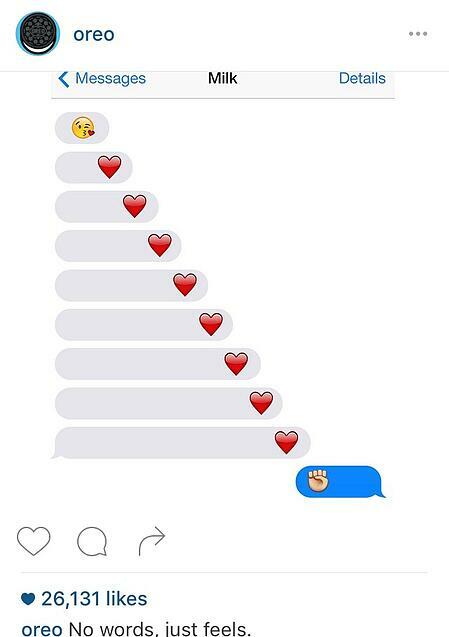 Then, they credit the original poster using the camera emoji and the poster's username. 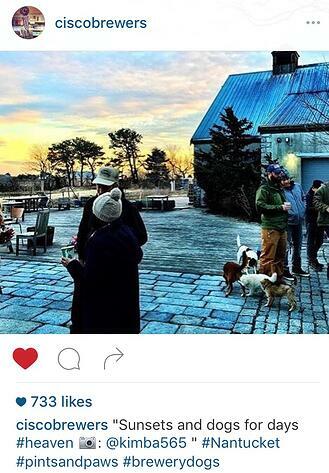 And here are two painfully cute reposts from Cisco Brewers in Nantucket. 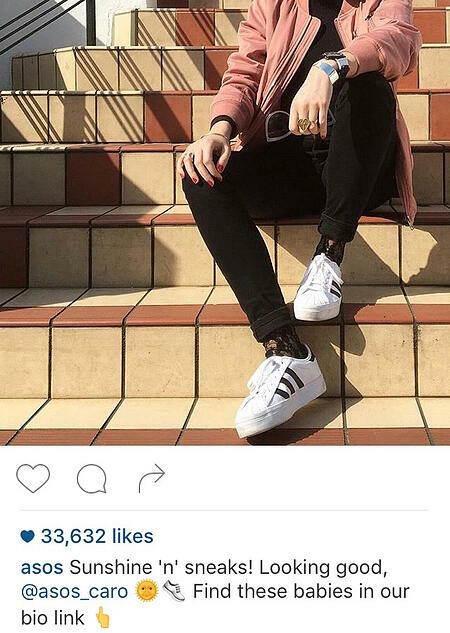 Take note of how they write the captions, which is different from the way ASOS does it: First, they quote the original caption, followed by the camera emoji and the original poster's username. 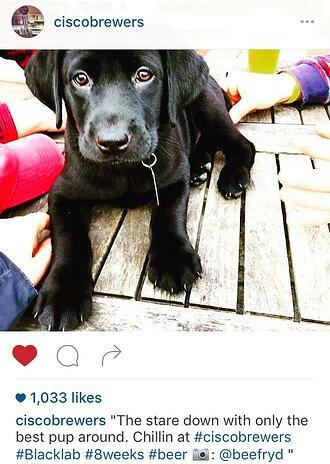 Then, they add their own hashtags, like #brewerydogs. 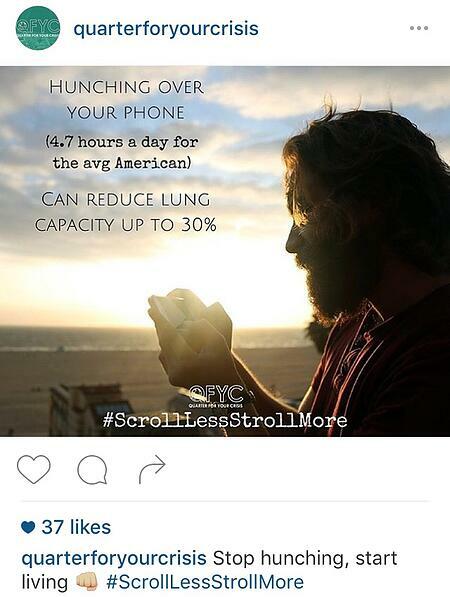 To repost a photo on Instagram, you can simply screenshot the photo and crop it. Or, you can use a reposting app like Repost for Instagram, which is my personal favorite. There's a free version with (pretty inconspicuous) ads. 3. Relevant quotes that speak to your audience. 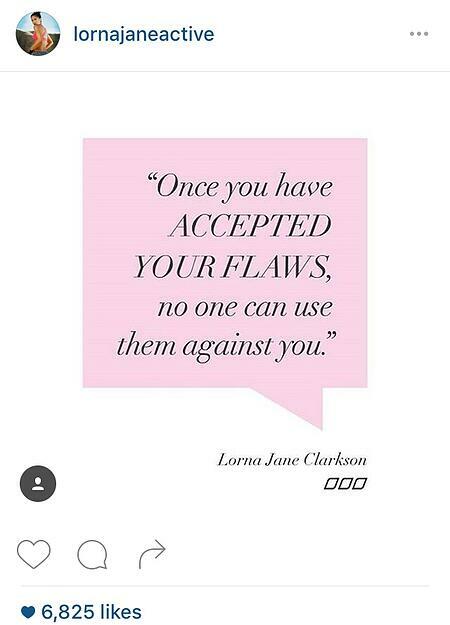 Some people poke fun at the number of quotes out there on Instagram. But if you post them sparingly, they actually tend to encourage a lot of engagement. If the post speaks to your audience, people love to share them and tag their friends in the comments. Quotes are also a great opportunity to share the types of things your brand stands for, whether it's spiritual, inspiring, funny, or something else. 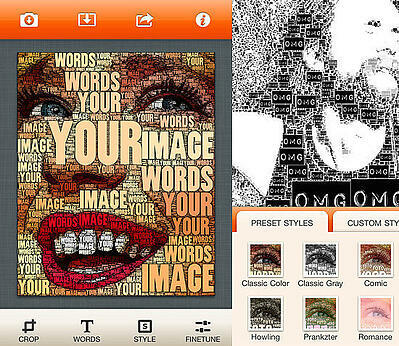 Quipio: A free app with premade designs that makes adding text and sharing through social media really easy. Only downside it is doesn't have a ton of editing options. Overgram: A free app that includes 10 of the most popular fonts from the premium app (Over HD, $2) and has the same text resizing, alignment, and positioning tools. Typic Pro: A $2 app that pairs fonts with different photo filters and design elements like banners, badges, and embellishments. Typic -- the free, lite version -- doesn't have design elements and limits text color to black and white, but it does have some of the same fonts and filters. Here are a few examples of quotes done well, starting with this one from TheSkimm. The key to this post's success is that it's hilarious to their specific audience -- and it also shows that the quote itself doesn't have to be fancy to delight people. Pro Tip: Want to play around with words and images? I found this really cool, $2 app called WordFoto that lets you turn your pictures into images made of words, instead of just adding words on top of photos. Here's an example from Quarter For Your Crisis, a company with the mission of helping millennials reconnect with themselves, their faith, and their world. 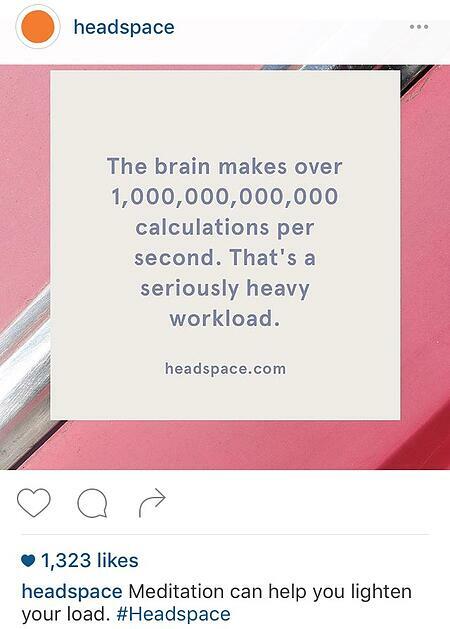 Here's another one from the meditation app Headspace, with a simple text box overlaying a colored, nondescript background. 5. Timely posts and newsjacks. Is something cool happening in the world or the country where your target market lives? A specific holiday? National Puppy Day? Get in on the action by posting something delightful. Remember to use good judgment when newsjacking -- the last thing you want to do is publish inaccurate information or offend anyone. What are some examples of delightful, timely posts? Here's one from a Mediterranean restaurant called Cava Mezze Grill to celebrate Opening Day for baseball, as all of their locations are in the United States. 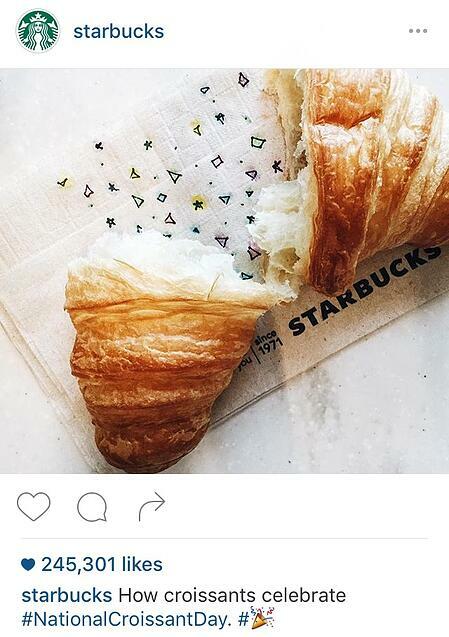 And here's a fun example from Starbucks for National Croissant Day. Try posting photos and images that you think will make your own audience laugh, like Oreo did with this fake text message conversation with "Milk." 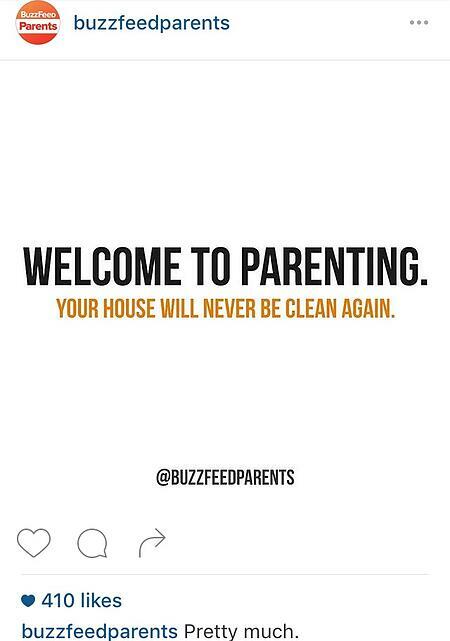 Here's another example from BuzzFeed Parents, which goes to show how simple a super shareable post can be. 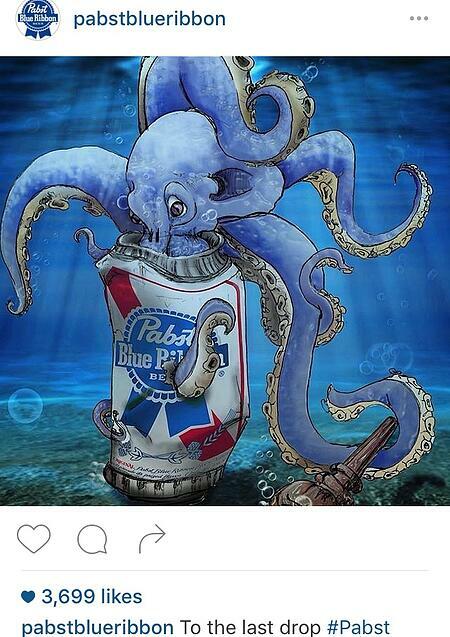 And in this one from Pabst Blue Ribbon. 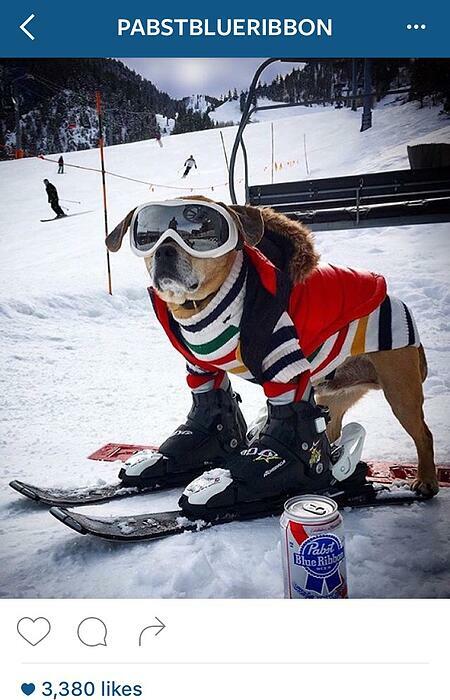 All they did was dress up a dog in a hilarious outfit and then put a Pabst beer can in front of him ... and it worked like a charm. 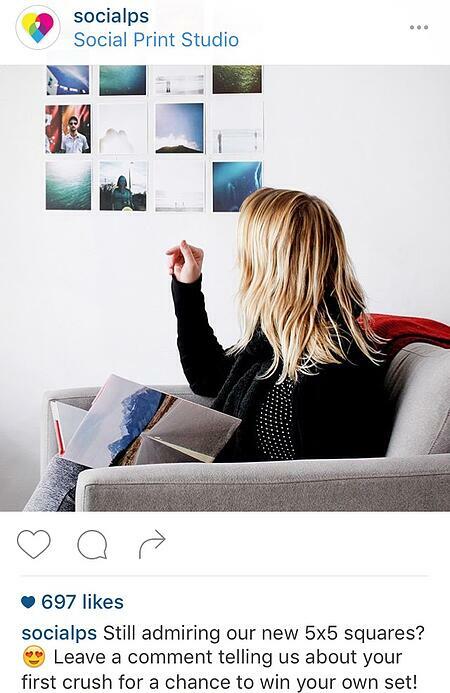 Beautiful images are critical to your Instagram marketing strategy because they tell a story and draw people in. In fact, colored visuals increase people's willingness to read a piece of content by a whopping 80%. So if you're creating a piece of compelling written content like a recipe, a report, or a blog post, why not use a visual platform like Instagram to promote it? 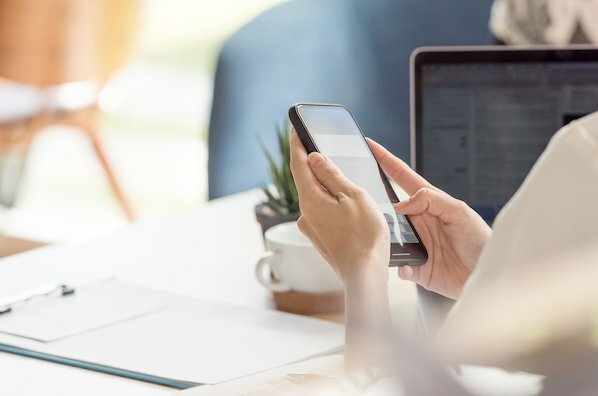 Instagram isn't the place to be publishing product-centric posts every single day -- but that doesn't mean you can't use it to showcase products every once in a while. We suggest using the 80/20 rule on social media: 80% of the content you post to social media should be helpful and valuable to your audience, and 20% can be self-promotional. For Instagram, it's even more important to make that promotional content fun, compelling, and lovable. To highlight a specific product, post a picture or video about it, and then send people to the (trackable) link in your bio. Here's another one from Frank Body, which uses an image and some humor in the caption to pique followers' interest in the product without being overly promotional. 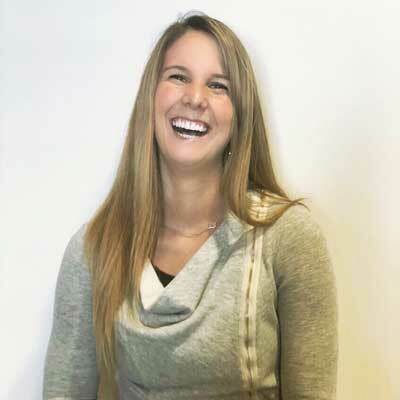 For the past few years, most of the social media world has been moving toward emphasizing video. In fact, by midway through 2015, mobile video plays exceeded 44% -- up 74% from 2014, and up a whopping 844% since 2012. 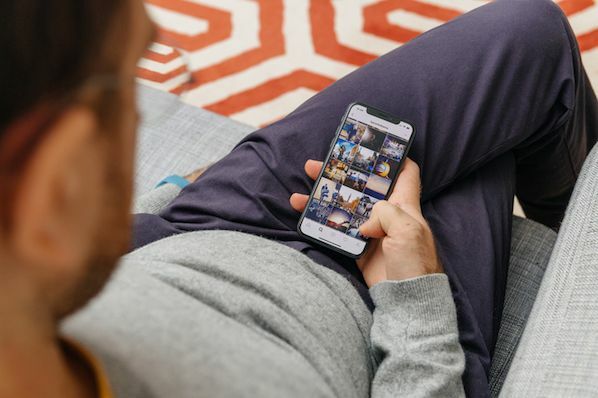 It took Instagram a while to come around to video, but they recently announced they're rolling out the capability for users to record and upload videos up to 60 seconds long (whereas the max was 15 seconds previously). 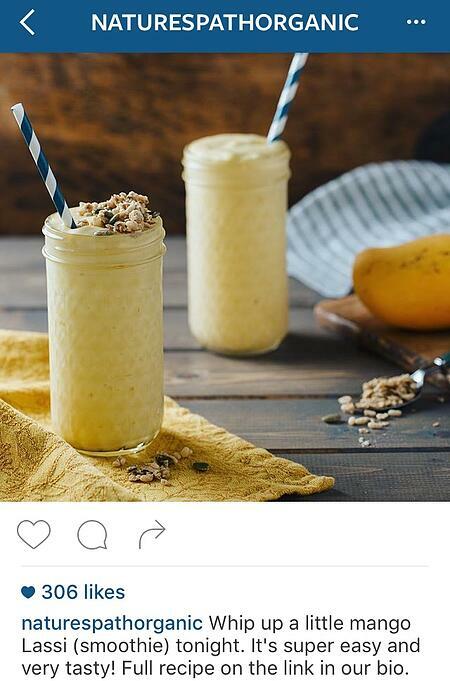 When executed well, videos are a great way for your Instagram content to stand out in the feed. You can either record a video from scratch (including recording multiple video clips), or you can upload a new video from your phone's library the same way you'd upload a normal photo. Pro Tip: By default, every Instagram video will start playing without sound -- after which viewers can choose whether or not to turn the sound on. Because of this, you'll either need to upload videos that don't need sound to be well understood, or you'll need to entice people to turn the sound in the first second or two. Here's a great video from Purina that delights viewers with some cute puppy love. Want to use video to stand out from the crowd while also solving for your followers' short attention spans? Try creating a Hyperlapse video. Here's one of my favorite examples, which comes from Starbucks. GIFs are everywhere nowadays, and people love them because they help accurately convey ideas, messages, thoughts, and feelings in a snackable (and often laughable) way. On Instagram, you can upload a GIF just like you would a video (as long as it's less than 60 seconds long). 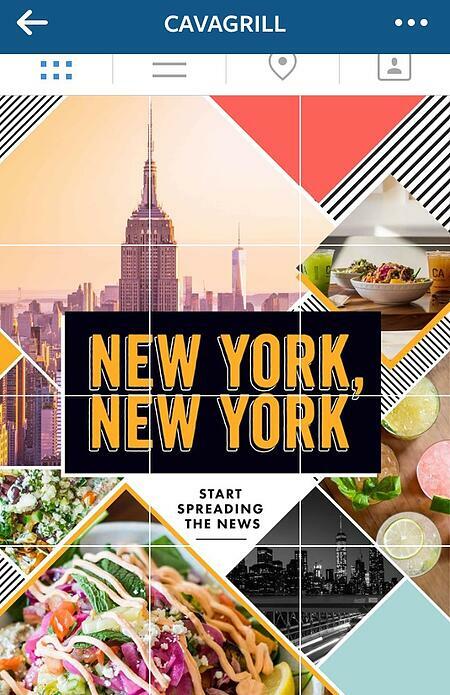 Check out the examples of GIFs on Instagram below for some inspiration. (And to create your own animated GIF using Photoshop, click here for instructions.) 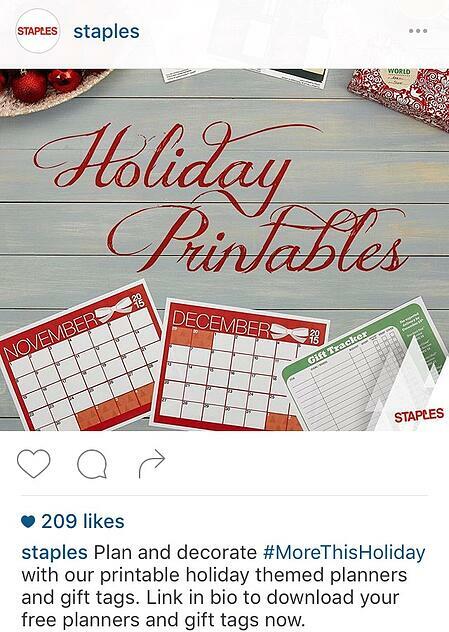 Here's an example from Staples. Trying to support the launch of a new product? 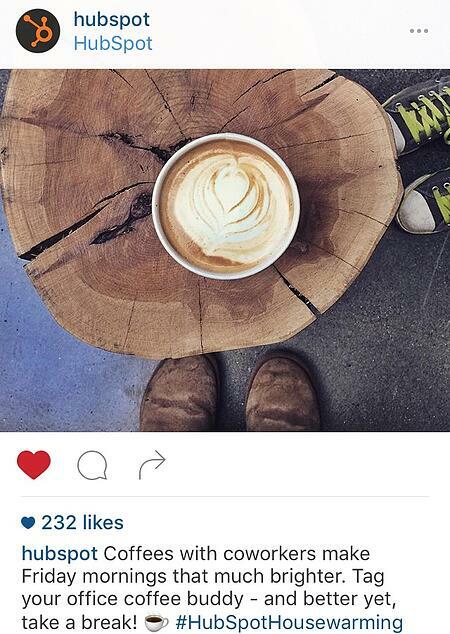 Contests are one of the best ways to expand your reach and engage your community on Instagram. The network doesn't make it easy to capture leads and information from your followers, but a contest or giveaway is one way to do it. There are many, many different types of contests you can post on Instagram. Here are a few ideas, starting with the one below from Social Print Studio. Their call-to-action asks for comments on the post, from which they'll choose winners. 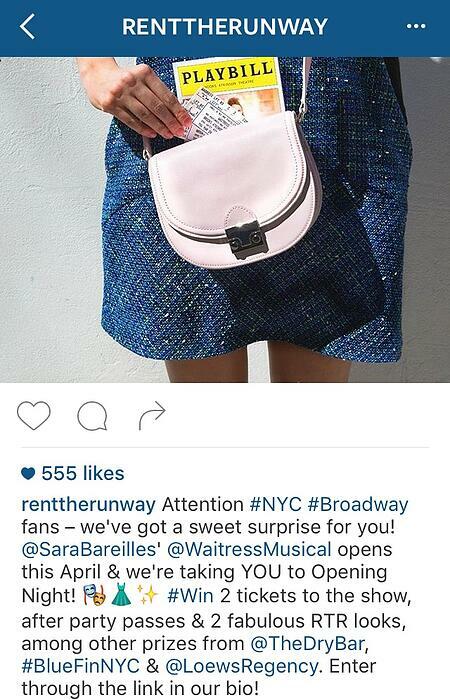 Here's one from Rent the Runway asking people to enter a contest by following the link in their bio. Not many brands are using this tactic, but I've always found it to be a really cool, unique user experience. Not to mention, it's also a clever way to get users to go to your business' account page. You see, most of your followers won't be looking at your Instagram photos from your account page, as they'll typically look at them in their Instagram feed. But when I started scrolling through the images below from Cava Mezze Grill in my feed, it took me a second to figure out what was happening. I kept seeing snippets of "New York," which had a cool teaser affect. 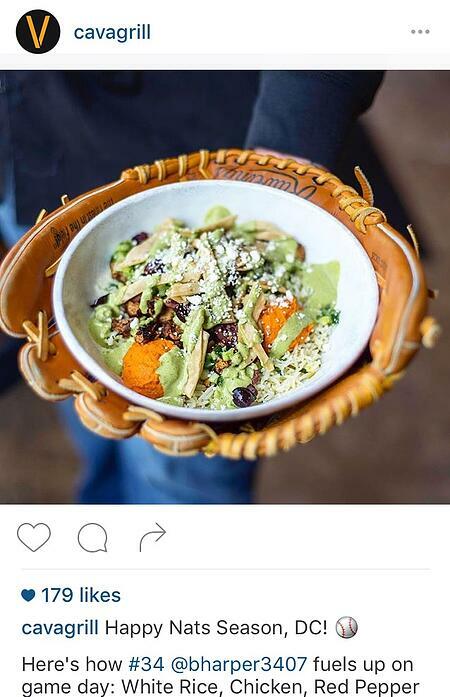 This enticed me to go to Cava Mezze Grill's main account page, where I could see the full picture. 15. Asks to "tag a friend." If you want to encourage your followers to share the post with others, sometimes all you've got to do is ask. 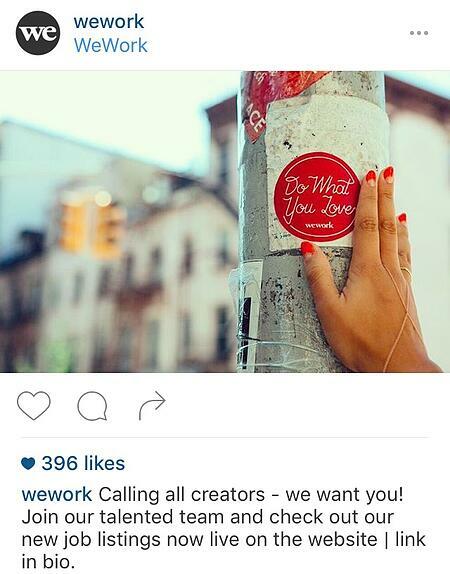 In the caption, include a call-to-action asking people to tag their friends, and give them a prompt to do so. 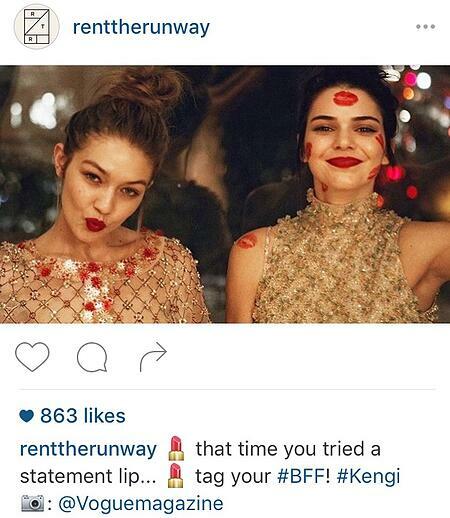 For example, in the post below from Rent the Runway, they ask followers to "Tag your BFF!" In our post below from HubSpot, we asked followers to tag their office coffee buddy. In this cute video from Headspace, they asked followers to tag someone they love to help celebrate Valentine's Day. Similar to asking your followers to tag a friend, you can also simply ask them to "double-tap," which is how your followers can Like your photo or video. 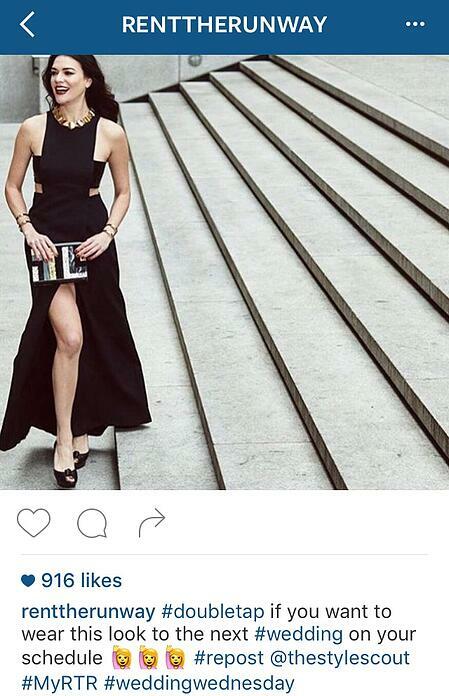 The common language for an ask like this is: "Double-tap if..."
In the example below from Rent the Runway, they ask followers to double-tap if they want to wear the dress from the photo to their next wedding, which is a fun way to engage their fans. 16. Reposts from your employees. Reposting your employees is an awesome way to showcase what happens behind the scenes at your company, while really helping your followers "bond" with the people who work there. For example, the folks behind the Boston Red Sox's "Fenway Park" account often reposts photos and videos from their grounds crew. ASOS has a really cool approach: They repost Instagram content from their individual stylists, who function as brand lifestyle ambassadors with accounts specifically associated with ASOS, like @asos_megan and @asos_isabella. 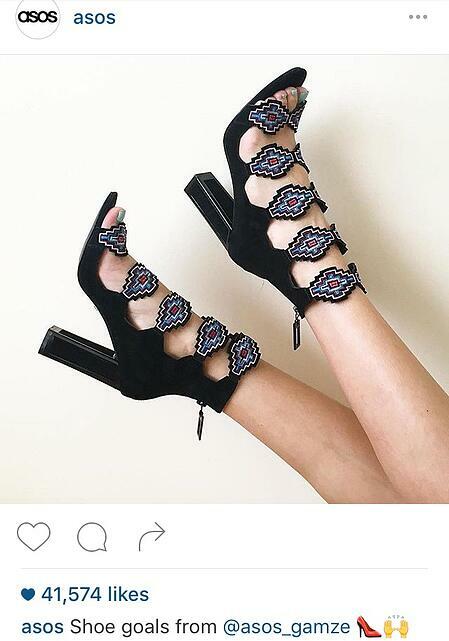 While the main ASOS account posts mostly their own content, they often repost from their stylists, like in the image below. 17. 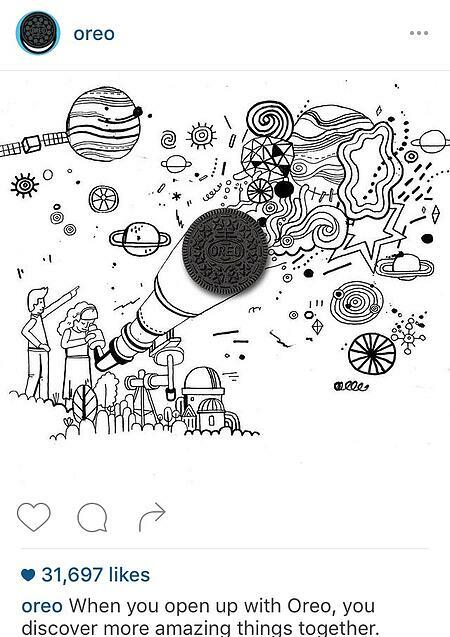 Cross-promotion of another social media account. Pro Tip: If you have goals around increasing your following on Snapchat, post a picture of your unique Snapcode. A Snapcode is an image that looks like the Snapchat logo, but with a pattern of dots. To follow you on Snapchat, all users will have to do to is open the Snapchat app, take a photo of your Snapcode, and tap their screen. 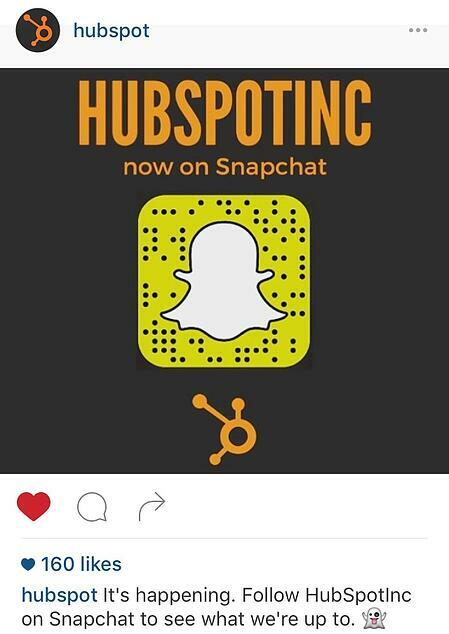 Here's an example from HubSpot's Instagram account. Finally, let your followers know you're hiring every once in a while by posting a simple call-to-action on your Instagram page, including a trackable link to your jobs page in your bio. And here's a delightful one from Rent the Runway. 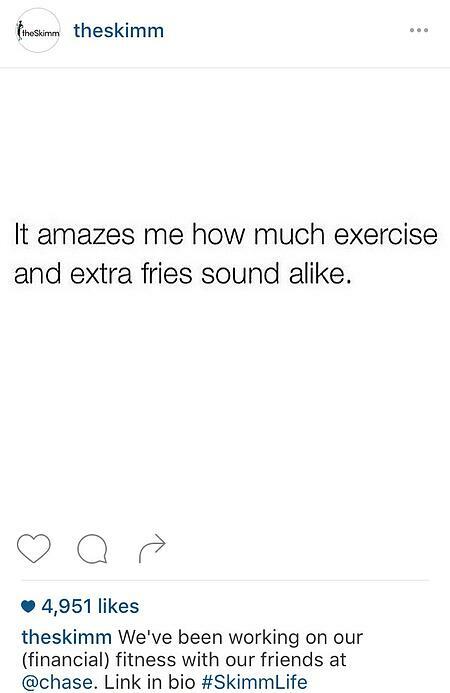 What other ideas for Instagram posts do you have? Share with us in the comments.